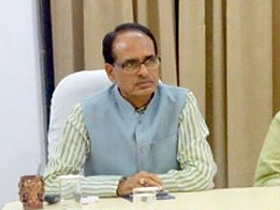 Chief Minister Shivraj Singh Chouhan congratulated Prime Minister Shri Narendra Modi on being honoured with the prestigious ‘Champions of the Earth’ award by the United Nations. He also expressed gratitude on behalf of the people of Madhya Pradesh for the approval granted in the meeting of the Union Cabinet held under the Chairmanship of the Prime Minister Shri Modi for Metro Rail Projects of Bhopal and Indore. 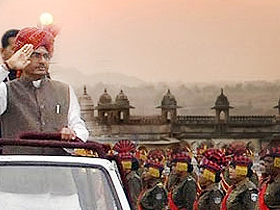 CM Chouhan said that the respect and dignity of India has enhanced in the entire world under the great leadership of the PM Shri Modi. The Champions of the Earth award is a proud achievement for the country. The Chief Minister also mentioned that the union cabinet’s approval for Metro rail is a historic achievement for the state. This project is a source of new era of transport in the state. He expressed gratitude towards the cooperation and guidance of the Union Minister for Finance, Shri Arun Jaitley and Union Minister for Urban Development, Shri Hardeep Suri to make the Bhopal and Indore Metro Rail possible.